Aim: The objective of this study was to investigate the effect of different types of movement kinematics on the resistance of the ProTaper D3 retreatment file to cyclic fatigue. Materials and Methods: Eighty ProTaper Universal D3 (20.07) files were utilized in this study. The cyclic fatigue tests were performed using a specially manufactured dynamic cyclic fatigue testing device, which has an artificial stainless steel canal having 60° of curvature angle and 5 mm of curvature radius. The files were randomly divided into four groups (Group 1: Rotary motion [RM]; Group 2: Adaptive motion [AM]; Group 3: Reciprocating motion [RCM]; Group 4: WaveOne motion [WM]). The movements of files until the files broke were recorded in “MOV” format using a device employing a slow-motion camera. The number of cycles to failure was calculated for each group. The data were analyzed statistically using one-way ANOVA and Tukey's honestly significant difference test (P < 0.05). Results: The cyclic fatigue resistance of the AM group (3357.9 ± 88.5) was significantly higher than that of the other groups (P < 0.001). The lowest cyclic fatigue resistance was observed in the RM (1850.4 ± 93.0) group (P < 0.001). Conclusion: Within the limitations of the present study, resistance of ProTaper Universal D3 file to the cyclic fatigue significantly increased in the AM group when compared to the RCM and WM groups. Introduction: Limited information is available about the canal morphology of mandibular first molars in North Indian population. 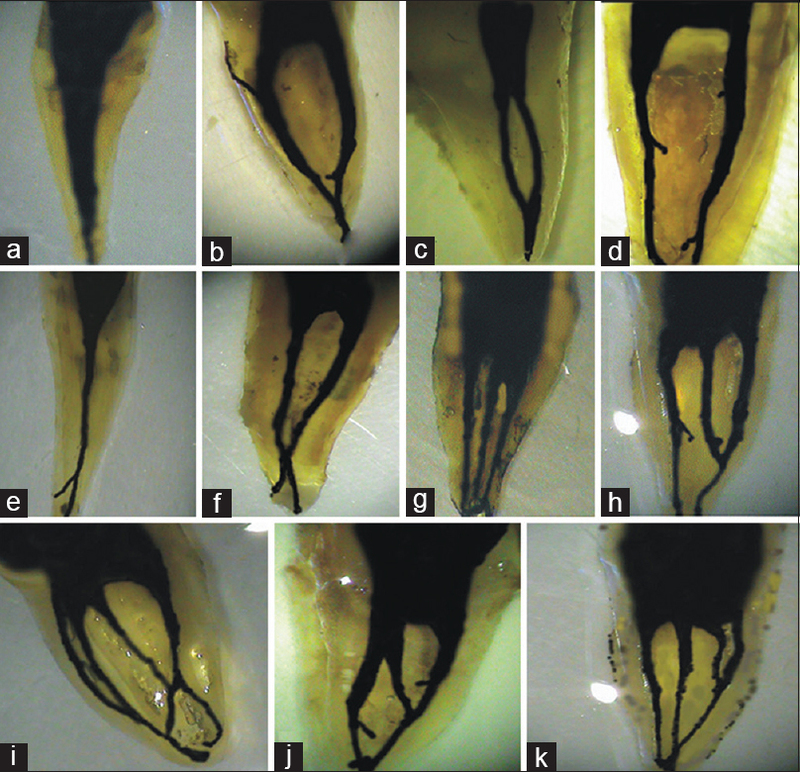 The purpose of this study was to evaluate the root canal morphology of North Indian mandibular first molars by clearing and staining technique. Materials and Methods: A total of 863 mandibular first molars collected from various places in North India were subjected to canal staining and decalcification procedures. Access cavities were prepared, and pulp tissue dissolved with sodium hypochlorite. Indian ink was injected into the root canals aided by negative pressure applied at the root tips. The stained teeth were decalcified with 7% hydrochloric acid. Instead of ascending concentrations of alcohol, a nonalcohol-based drying agent (anhydrous calcium chloride) was used to remove traces of acid and water from the specimens. The dried specimens were immersed in methyl salicylate to render them transparent. The following features were observed under operating microscope at ×6 magnification: (i) Number of root canals per tooth, (ii) number of root canals per root, (iii) root canal configuration in each root (Vertucci's classification), and (iv) lateral canals, intercanal communications, and their location. Results: Majority had two roots (85%) with three (61%) and four (30%) canals. Three roots were present in 15% of the specimens. Type IV (49%) and type I (48%) were the most common configurations in mesial and distal roots, respectively. Conclusion: First molars with two roots and three canals are a common feature in North Indian patients. Both roots showed wide variations in canal anatomy with type IV and type I configurations predominating in mesial and distal roots, respectively. Aim: This study investigates the amount of available chlorine and pH of sodium hypochlorite after dilution and the influence of storage temperature, heating, and aging. Materials and Methods: A 5.25% sodium hypochlorite solution was diluted to 2.5%, and free available chlorine (FAC) and pH were measured. This was labeled as the control group. The diluted solution was divided into four groups. The first and second groups were stored at 4°C and room temperature, respectively, and FAC and pH were measured at room temperature at intervals of 30 min, 1, 3, and 6 h. The third and fourth groups were stored at 4°C and room temperature, respectively. Samples were collected at intervals of 30 min, 1, 3, and 6 h after heating to 60°C–70°C, and FAC and pH were measured. An iodometric titration method was used for FAC estimation. pH was measured using a digital pH meter. Data obtained were statistically analyzed. Results: All groups showed depletion in FAC and decrease in pH over time. Available chlorine was utmost in Group III and least in Group II. No statistically significant difference in pH was recorded. Conclusions: Sodium hypochlorite at room temperature should be used within 3 h of dilution. Its shelf life can be enhanced by storing at 4°C. Heating the solution to 60°C–70°C before irrigation is more efficacious. 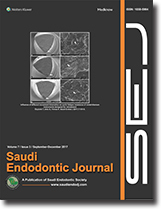 Aim: This in vitro study evaluated the effectiveness of detecting the presence of second mesiobuccal (MB2) canal in the maxillary first molars, using magnification and illumination. Materials and Methods: Access cavities of fifty extracted human maxillary first molars were prepared, and the floor of the pulp chamber was then explored to locate the MB2 canal in five stages: Stage I (direct vision), Stage II (under ×2.5 magnifying loupes without light-emitting diode [LED] light), Stage III (under ×2.5 magnifying loupes with LED light), Stage IV (under operating microscope at ×5), and Stage V (under operating microscope at ×12.8). Statistical Analysis: The descriptive statistics were tabulated using the kappa statistic to check the association between the five groups. Results: The operating microscope at ×5 and ×12.8 gave a diagnostic accuracy of 100%, followed by magnifying loupes with LED light which gave a diagnostic accuracy of 90% in detecting the presence of MB2 canal. The use of magnifying loupes without LED light and plain eyesight gave a comparatively lesser diagnostic accuracy, i.e., 76% and 68%, respectively. Conclusion: The operating microscope with a sensitivity and diagnostic accuracy of 100% was most effective in the detection of MB2 canals followed by magnifying loupes with LED light. 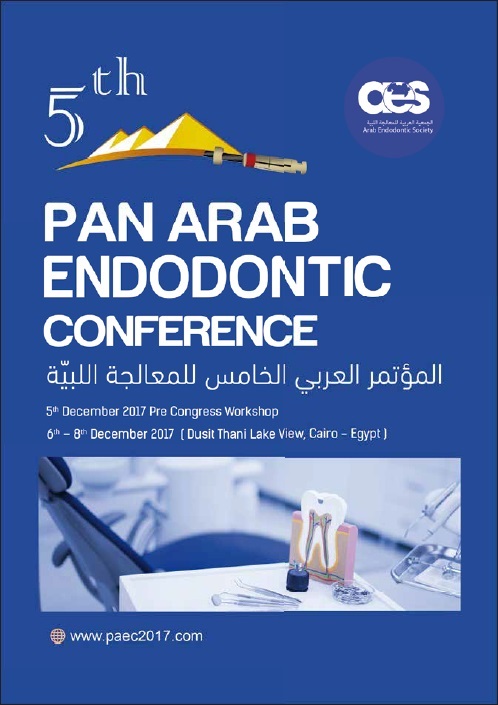 Introduction: The aim of this study was to assess the ability of 7% maleic acid, 0.5% peracetic acid (PAA), and 17% ethylenediaminetetraacetic acid (EDTA) in removing smear layer from root canal system of human teeth using scanning electron microscopic analysis (SEM). Materials and Methods: Thirty-five non-carious human anterior teeth with single roots were selected for the study. Chemo-mechanical preparation was done using crown down technique with irrigation of 2.5% NaOCl after every instrument use. Depending on the final irrigation solution, the samples were divided randomly into three experimental groups and one control group: (1) The maleic acid group: 07% (n = 10), (2) the PAA group: 0.5% (n = 10), (3) the EDTA group: 17% (n = 10), and (4) the control group: 0.9% saline (n = 5). 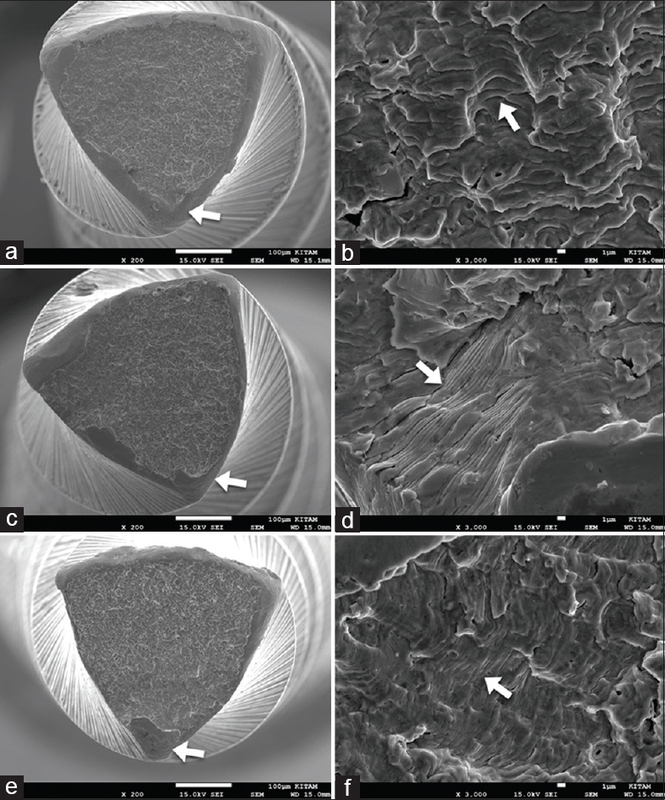 These teeth were then evaluated using SEM analysis for the absence or presence of smear layer, thereby analyzing their cleaning effectiveness in the coronal, middle, and apical thirds of the root canal system. The inter examiner's reliability was verified with the use of Kappa test. The data of the score for intragroup comparison and intergroup comparison for evaluation of the presence or absence of smear layer were statistically analyzed by Pearson Chi-square test. The level of statistical significance was set at P < 0.05. 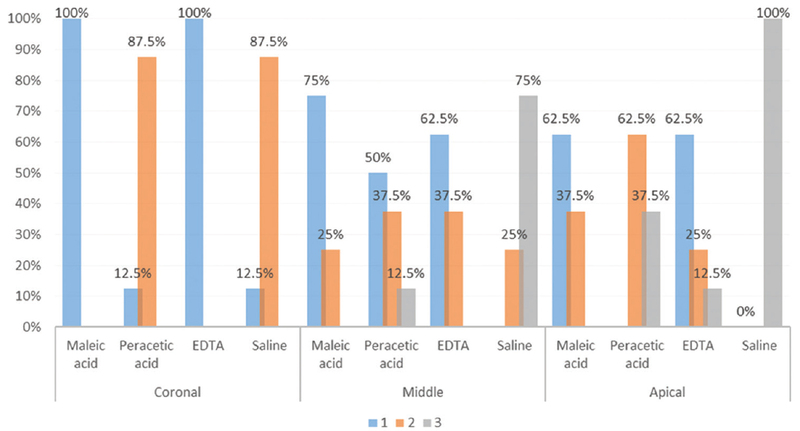 Results: In the coronal thirds of the root canal, there was no statistically significant difference between the EDTA and the maleic acid groups when evaluated for their efficacy at smear layer removal. Whereas, maleic acid performed significantly better than PAA and EDTA in removing smear layer from middle and apical thirds of the root canal system. Conclusion: A final irrigation with 7% maleic acid is more efficacious than 17% EDTA and 0.5% PAA when used as a smear layer removal agent in the apical third of the root canal system. The occurrence of C-shaped root canal configuration in mandibular first molar is rare. The present case has an unusual C-shaped root canal configuration for both the appearances of the canal orifices and the configuration along the roots. Use of cone-beam computed tomography, rotary and hand instrumentation assisted with sonic and ultrasonic activation of irrigation solution is very important for effective management of this anomalous canal configuration. Modifications in the obturation techniques will ensure a three-dimensional fill of the canal system. Clinician should expect to encounter unusual features when performing endodontic treatment. A precise knowledge of the root canal anatomy is the key to successful root canal therapy. Mandibular first molar usually has two roots (mesial and distal) and three to four root canals. In addition, any anatomic variations may occur in these teeth type. This clinical report describes two cases of root canal treatment of mandibular first molar with three root canals in mesial root (3–2) in one case and three root canals in distal root (2–3) of another one. The clinicians should be aware of the anatomical variations of different human dentition and must use all the available tools to detect and treat their clinical cases. Bone destruction is one of the factors responsible for tooth loss. Bone loss caused by pulpal disease is reversible whereas advanced bone loss caused by periodontal disease is usually irreversible. Preservation of a tooth with advanced bone loss is possible with careful restorative and surgical management. The main aim of regenerative therapy is the formation of a new attachment apparatus, including bone. This case report describes the management of bilateral perio-endodontic lesions in maxillary region, with a combination of endodontic therapy and periodontal regenerative technique. Dens invaginatus (DI) is a rare developmental anomaly characterized by invagination of the enamel organ into the dental papilla before calcification has occurred. Maxillary lateral incisor is most commonly involved. The complex anatomy of this anomaly presents as a major challenge to the endodontist. 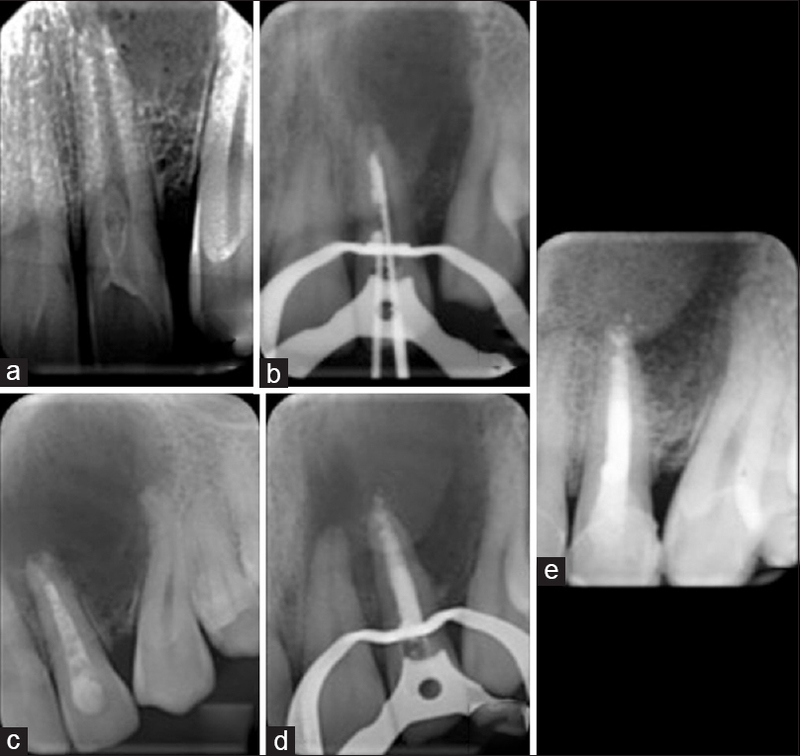 The two-dimensional imaging such as intraoral periapical radiographs and bitewing fall short of defining the extent of the defect. The three-dimensional extent of this lesion can be visualized efficiently using a cone-beam computed tomography, which can help in a better understanding and treatment planning. Depending on the extent of the DI, the treatment modalities can be either surgical or nonsurgical. 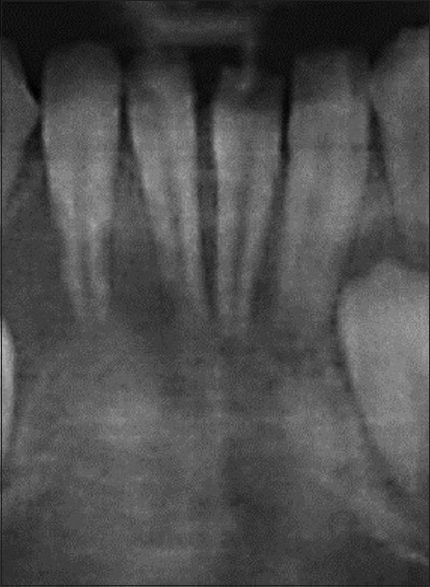 The present case highlights a maxillary central incisor with Type III DI which was managed using contemporary endodontic techniques. Dens invaginatus (DI) is a rare malformation anomaly with a wide variety of morphological types. 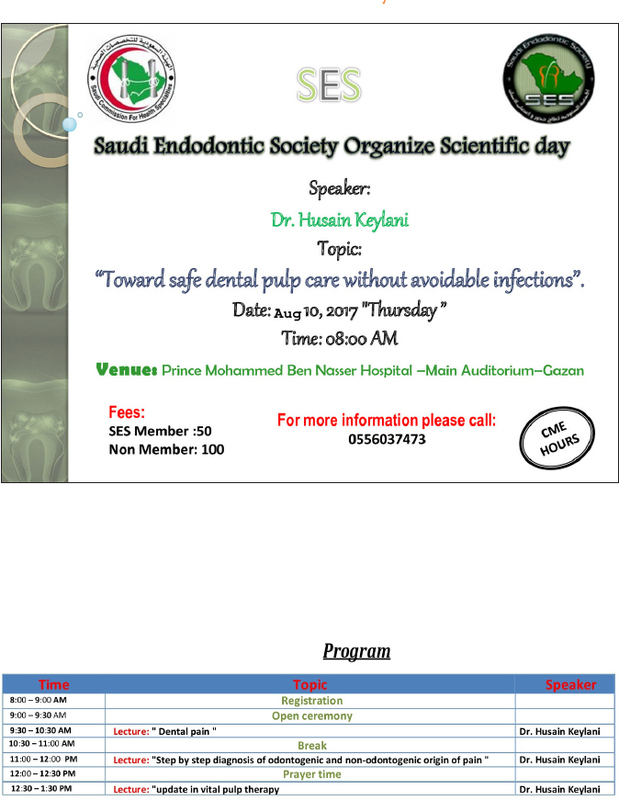 An early detection of the affected teeth is critical for proper management. 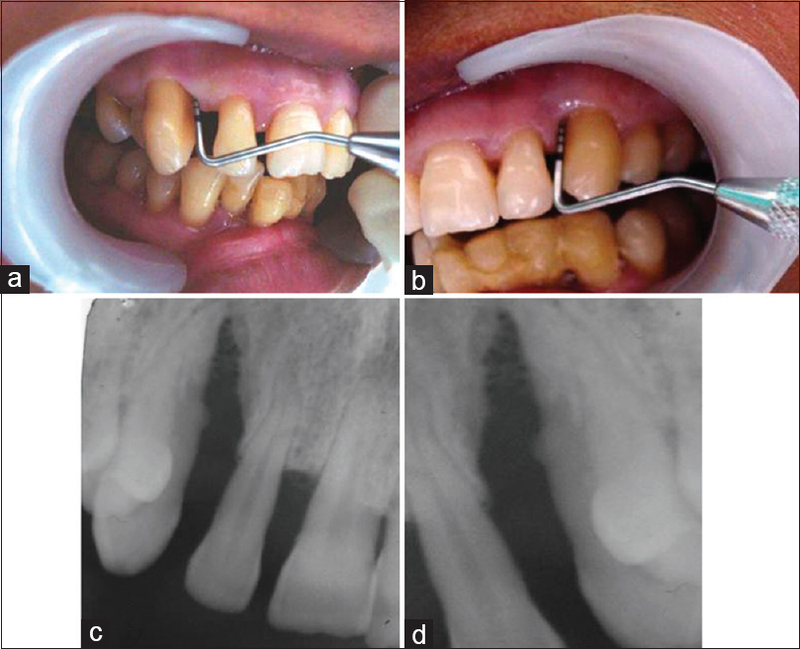 The aim of this case report was to describe different occurrences of Type II DI in the maxillary lateral incisors with different treatment managements. The first case was treated with ProRoot® mineral trioxide aggregate (MTA) root repair material as an apical plug and backfill with thermoplasticized gutta-percha for remaining canal space while the second case was filled totally with MTA. Both cases were treated under dental operation microscope. At 12-month post-treatment, the patients were asymptomatic, and the size of the periapical lesion was reduced. Tooth avulsion represents one of the most challenging dental traumas in terms of emergency and definitive treatment. Immediate replantation is recommended for best prognosis. However, delayed replantation is usually inevitable, which usually leads to root resorption and often times tooth loss. This case reports the management of an 8-year-old boy who presented 4 months after replantation and repositioning of avulsed mandibular right central and lateral incisor teeth (#41 and #42) and luxated mandibular left central incisor tooth (#31) with established root resorption. Although the prognosis of the avulsed teeth was poor, 4-year follow-up revealed functional healing of tooth #42 and partial healing of tooth #41 and arresting of the resorption. Tooth #31 showed canal obliteration. Currently, all teeth are asymptomatic and have normal percussion and mobility. In conclusion, saving an avulsed tooth of a child for few years would be very important for future prosthetic plans.